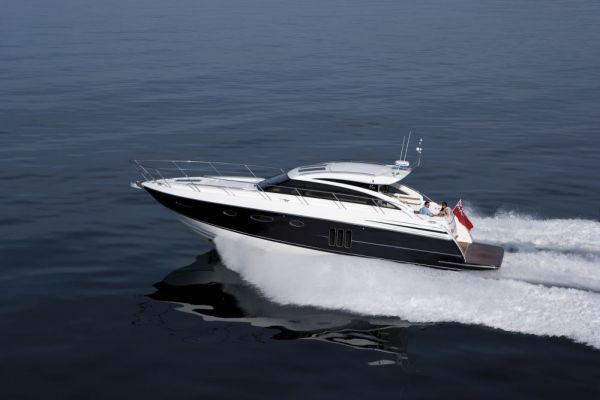 Princess Yachts newest V-Range model the V52, will be exhibited for the first time at the Cannes International Boat Show in September and its set to be another hit for Plymouth based boat builder. 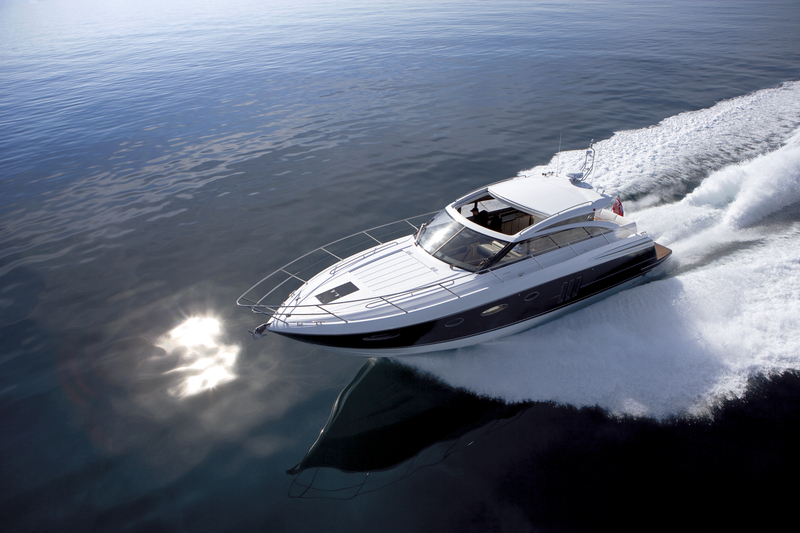 The arrival of the new V52 was a landmark event in the evolution of the Princess model range. For the first time a V Class sports yacht of this size is available with an enclosed deck saloon, broadening the reach of open boating to new destinations and for an extended boating season. The sleek profile of the V52 confirms her positioning in the heart of the V Class range, with masses of dynamic ability and thoroughbred performance when married to her powerful twin engines. Forward thrust is delivered with precision control through custom-machined propellers with twin shafts driven through V-drive gearboxes. This configuration benefits the lower accommodation space without compromising her sophisticated ride and agile handling that have become definitive V Class characteristics. 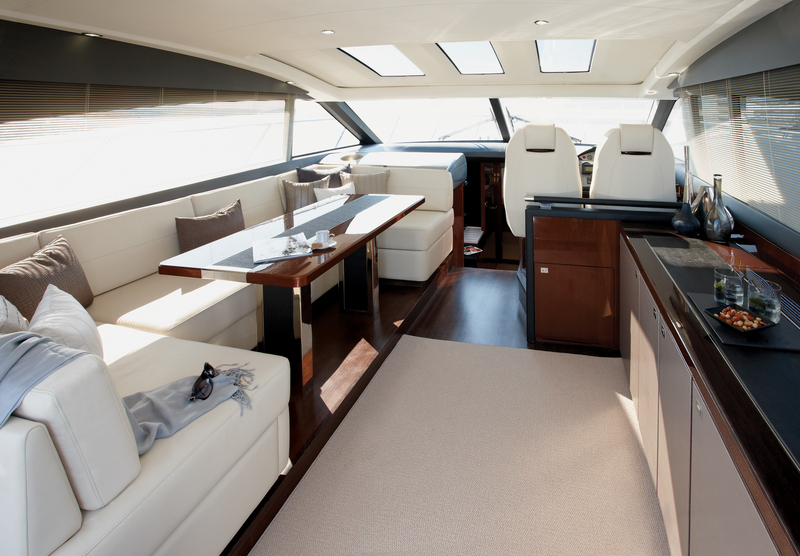 The V52 is a two stateroom craft, with the owner’s suite located amidships enjoying the full beam, with a full sized double stateroom forward with scissor berths which can be easily converted to twin beds as required. This cabin also has generous storage and en-suite bathroom, which itself accommodates a full stall shower. As an alternative a three cabin option is also available with a generous twin cabin replacing the lower saloon. In the V52, the latest in sports yacht technology combine with Princess’ characteristic deep-V hull for the ultimate combination of assured seakeeping and maneuverability to inspire confidence for the most relaxed and enjoyable boating experiences. Princess will be exhibiting a total of 11 boats afloat at the show (Princess 42, Princess 50, Princess 54, Princess 85 and 95 Motor Yachts, along with the V42, V45, V52, V56, V62 and V78 V Class sports yachts) and the stand display will be the largest to date. Great post again, keep up the good work guys! I must say cool post here. Thanks for posting this and sharing it. I’ve just bookmarked your site. And I will check back soon to read your other articles. Keep up your awesome work. A+ article wsb, keep them coming. Great to read a blog about Cannes and boats, one of my best vacation destinations. Great read! Great post. I am glad to have found this Blog keep them coming!